A cluster of Central Orange County cities plan to throw their hats in the ring to get e-commerce giant Amazon’s second headquarters. 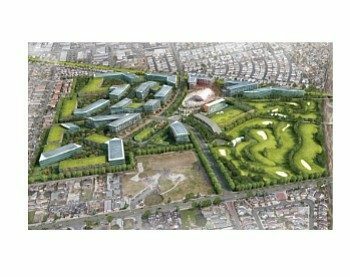 A joint bid under the banner of Orange County Silicon Cities, or OCSC, is on tap for this week and is expected to be endorsed by the cities of Santa Ana, Garden Grove and Orange, meanwhile Anaheim is also being solicited to back the bid. The new headquarters could potentially bring 50,000 jobs to a new region over a decade or more, totaling a value of nearly $480 billion. Amazon estimates the new headquarters would cost more than $5 million to build over 15 years.